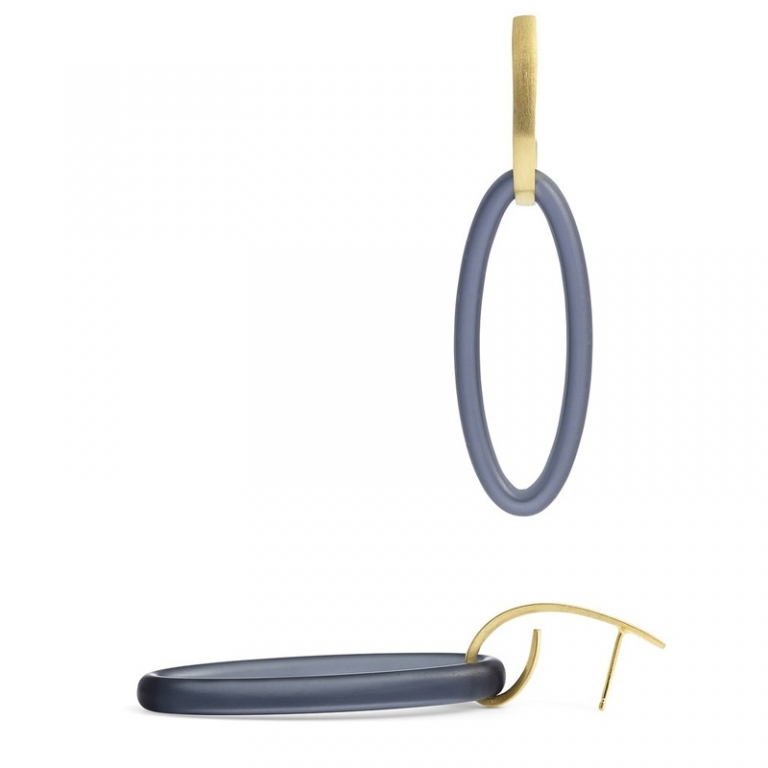 Cellulose Acetate Earrings with gold plated silver detail, shown in Grey/ Bule Ice. All pieces are handmade by Lesley in her London workshop. Other colours available.